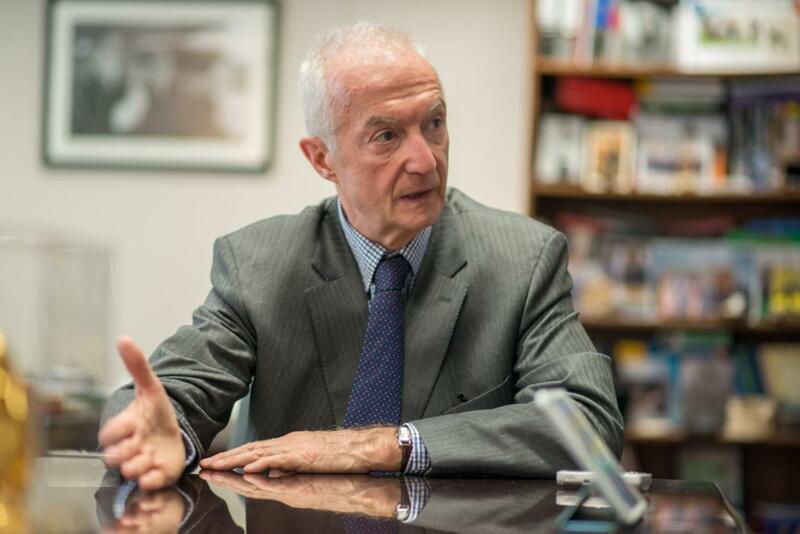 With the threat of terrorism growing every day, the task of Gilles de Kerchove, the EU’s counter-terrorism coordinator, becomes increasingly more important. It’s his job to coordinate the Council's work in combating terrorism, keep an eye on all the instruments available to the EU and make policy recommendations. We talked to him about how terrorism should be fought and the role the European Parliament could play. De Kerchove appears in front of the foreign affairs committee and the security and defence subcommittee today (Monday 30 March) from 17.00 CET. This interview was originally published on 20 March 2015. After all the recent revelations, can the EU get tough on terrorism without it being at the cost of fundamental values, such as the right to privacy? The European Union has always tried to strike the right balance. I think we have to be smart and that’s why we always try to come up with strong safeguards in all the instruments that we are setting up. In most of our instruments we are much more protective than the member states working individually. That has always been my point in the passenger name record (PNR) file. The Parliament has well-founded concerns about privacy, but If we don’t have any EU legislation, the consequence is that member states will develop their own PNR and by doing so we will have a system which is less effective because we will have 15 national PNR instead of 28 PNR. The system will be less protective because the level of protection might be different from one member state to another. How do we stop people from joining jihadist groups and how do we prevent fighters returning to Europe from committing terrorists attacks? It involves a lot of work around trying to promote prevention, especially the early detection of signs of radicalisation and we also need to promote the use of best practices. Part of the process is to find someone they trust and help them to reconnect to society. We also need to deconstruct the jihadist ideology, with internet being a huge challenge. Daech is very media savvy and they know how to win more support, so we need to develop a counter narrative and counter messages. Dealing with returnees is probably the most important challenge. There is a need to assess every returnee: the dangerousness of every returnee and provide him with the best response. It would be a mistake to send most of them to jail as it is a major incubator of radicalisation. If we can design a rehabilitation programme as an alternative to prosecution, then let’s do that. There should also be a similar programme for those who are already in prison. How can the European Parliament help to fight terrorism? The European Parliament has a very critical role. Not only as the co-legislator, but also in the social response needed in order to promote tolerance and fight anti-Semitism and Muslim-bashing. The Parliament is probably one of the EU institutions that is best placed to come up with fresh ideas. We also need to engage more with surrounding countries and the Parliament can play its part by connecting with the parliaments of these countries.